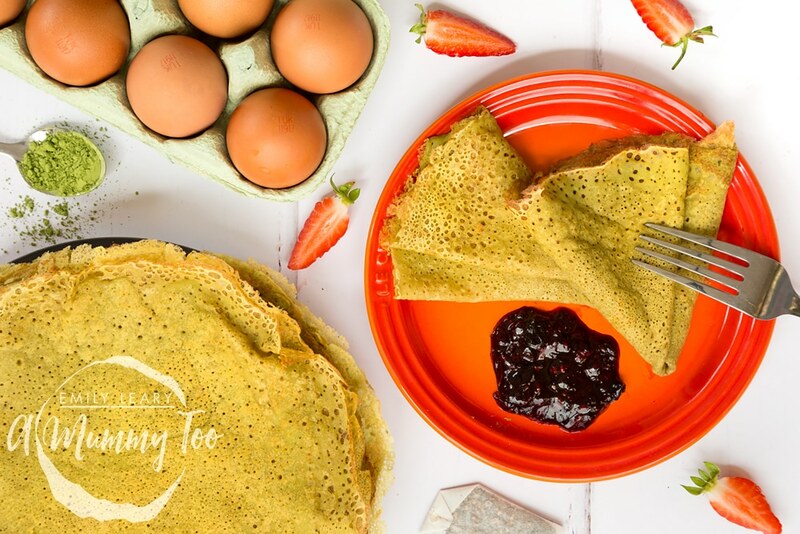 Here an unusual alternative to the traditional crepe: gluten-free matcha tea pancakes with a berry sauce. 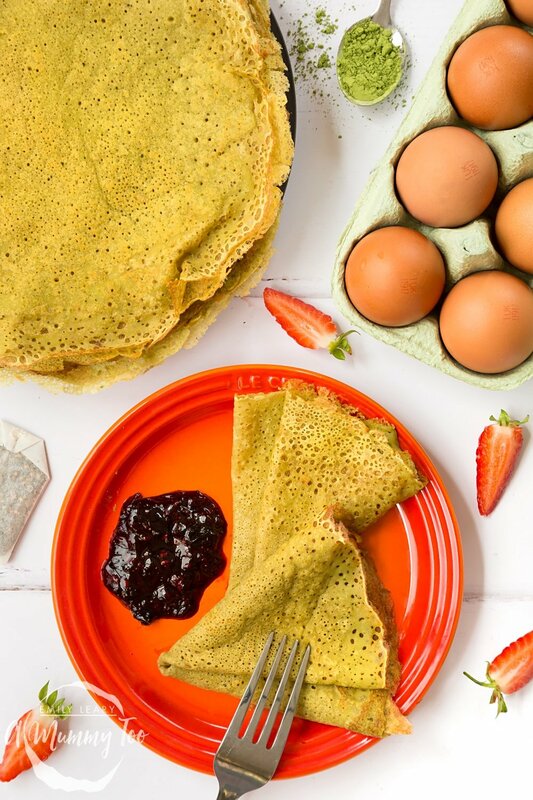 They’re delicate and frilly, just like crepes should be. 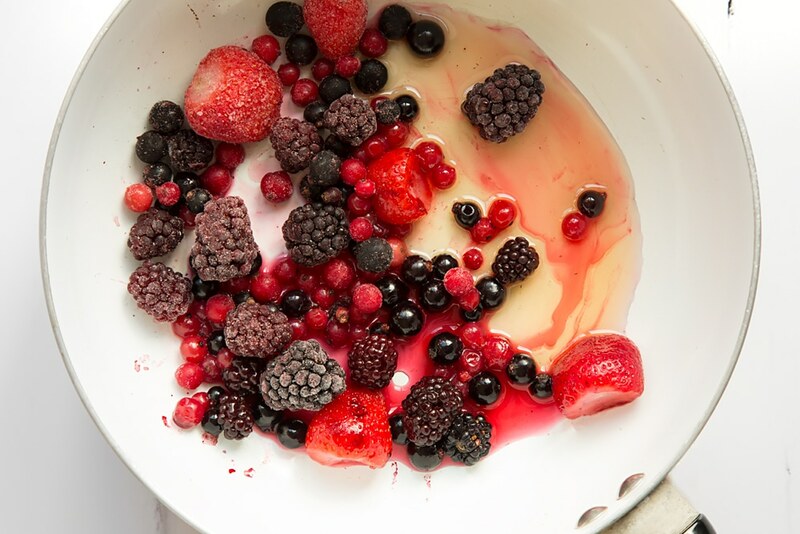 Put the berries and honey in a pan can cook over a medium heat for 10 minutes, until the fruit has broken down and the sauce is thick. 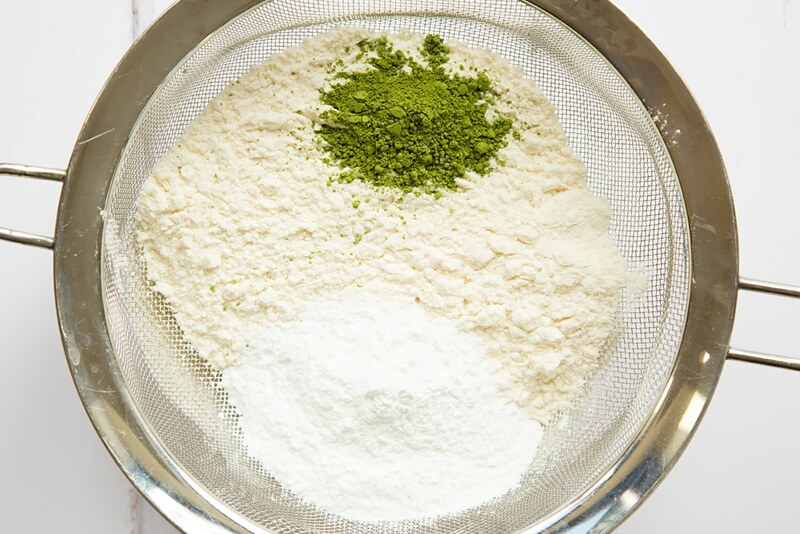 Sift the flour, matcha, salt and icing sugar into a bowl and make a well. 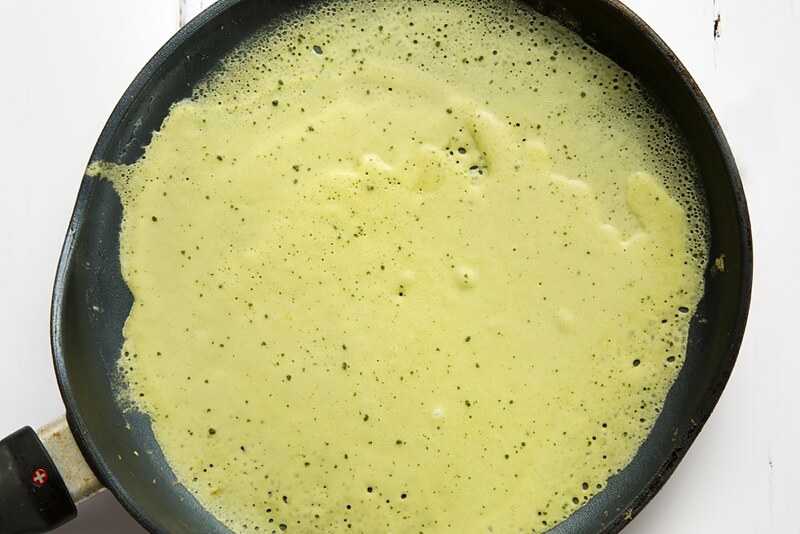 Add the eggs and whisk a little, then add the milk bit by bit, whisking until fully combined. Next, whisk in the melted butter and the bicarbonate of soda. Warm a pancake pan over a medium heat with a dot of butter, then ladle in enough batter to just cover the pan in a very thin layer, swirling to distribute. Flip the crêpe and cook on the other side until golden. Tip on to a plate. Repeat with the rest of the batter – you should get 10-12. You can keep them warm in a low oven, if you wish. 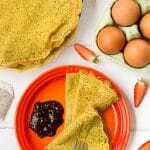 To serve, spread the crêpes the berry sauce, or enjoy with classic sugar and lemon. 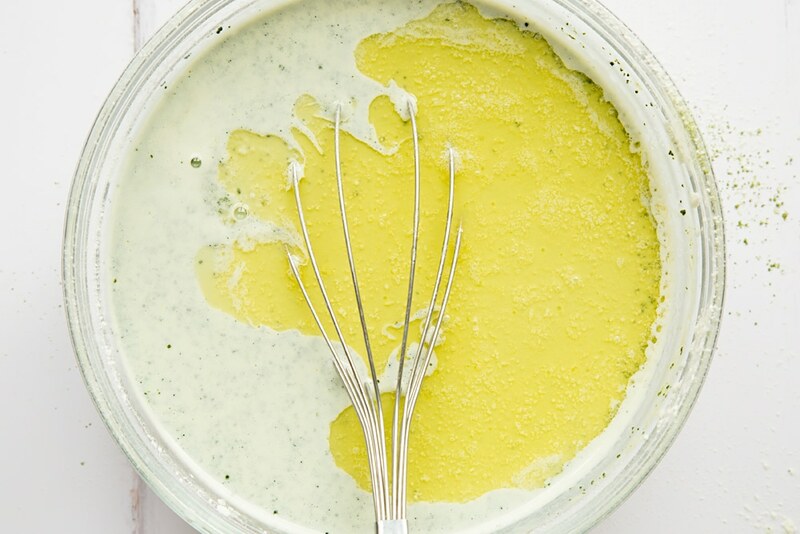 Here’s this matcha pancakes recipe in printable form. A lovely, light pancake with a distinct matcha tea sweetness, combined with a delicious home-made berry sauce. Flip the crêpe and cook on the other side until golden. Tip on to a plate. Repeat with the rest of the batter - you should get 10-12. 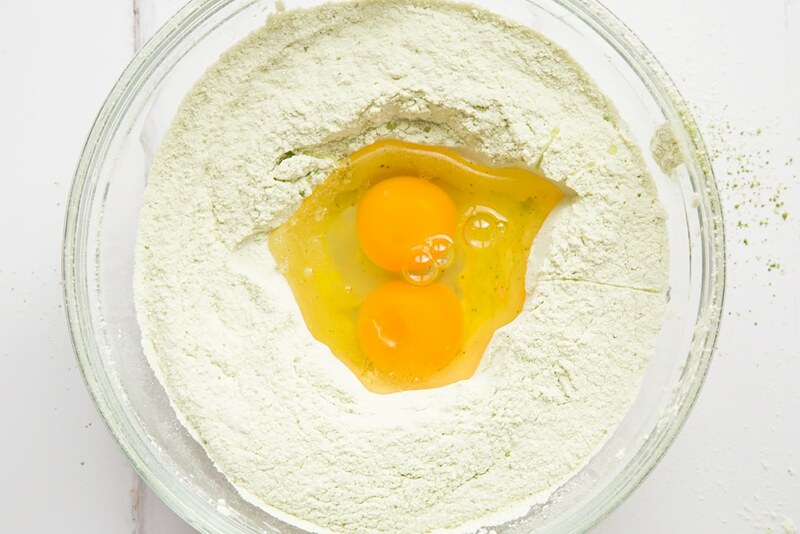 What did you think of these matcha pancakes? 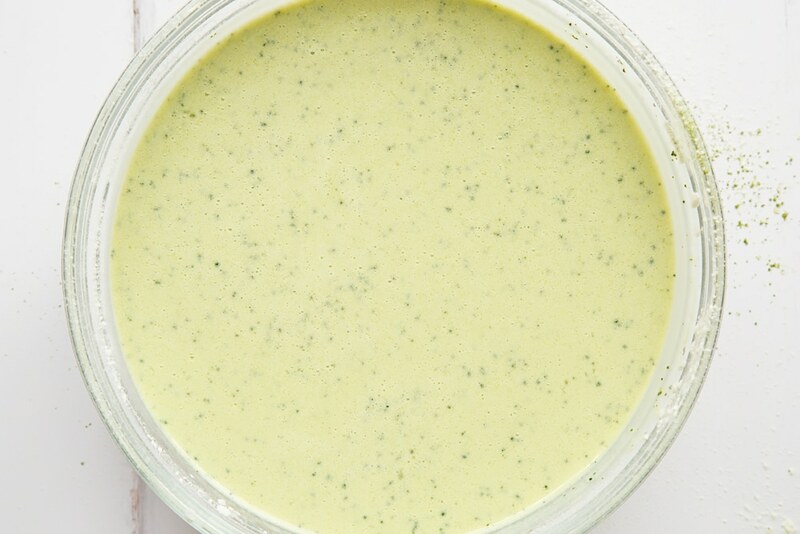 Have you tried matcha tea as an ingredient before? For another matcha tea recipe, try my banana matcha tea cake. Those look really light and quite an innocent sweet treat. I have to confess I’m still not sure what matcha is though. Matcha is a type of tea, it has a flavour similar to that of black tea but with much a fresher taste. It’s definitely worth a try! I had the most delectable matcha tiramisu recently. 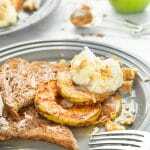 It’s such a versatile ingredient and these pancakes sound lovely! Ooh, that sounds amazing. Might have to give that a try! 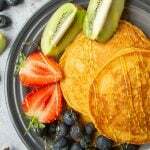 This is a very innovative use of matcha in pancakes.Its a great idea and a lovely recipe especially as its gluten free too. 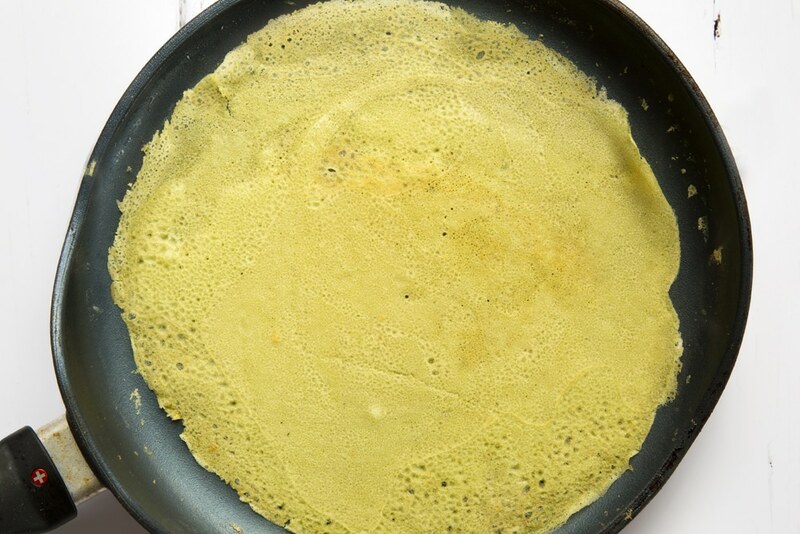 This is a very innovative use of matcha in pancakes.Its a great idea and a lovely revipe. Oh these sound lovely. I follow a gluten free diet so I am going to give these a try myself! I had never heard of Matcha before! 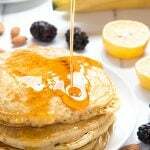 These pancakes look so delicious, and I love that they are gluten free too! I will definitely be trying these! Hey. I tried to make matcha waffles last week and they tasted horrible! Maybe I put a bit too much of the powder in or not enough sweetener… do you have any other ideas what it could be? I like matcha, but just not the waffles I made. Hi. Sorry to hear that. Yep, probably put too much in. You only need a small amount as it’s naturally quite bitter. These pancakes have just the right amount in so if you use that as a proportional guide for your next waffle batter hopefully they’ll come out perfectly. 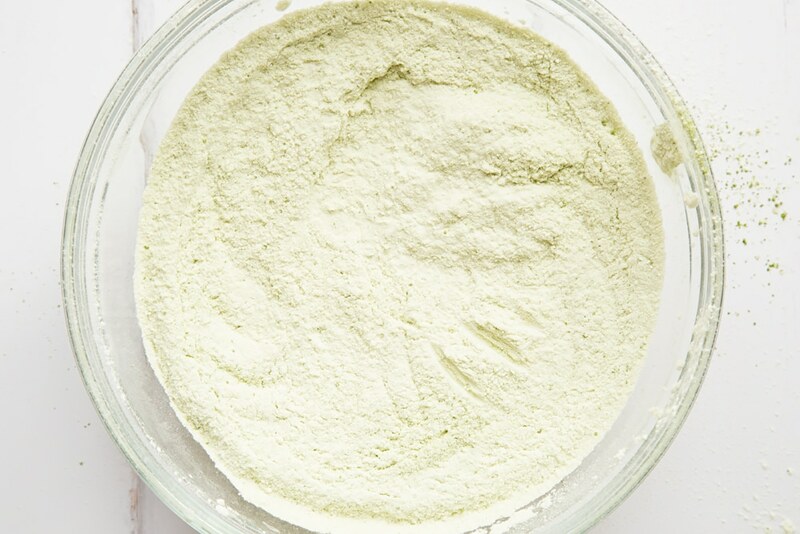 I have never heard of tea matcha powder before but I love pancakes and putting weird and wonderful ingredients in my mixture so this is going on the list! Haha, I hope you enjoy them! Perfect for tomorrow morning, the first day off the year:) Happy new year. They definitely would be. Happy new year to you too! I hope you enjoy if you decide to give them a try! Never heard anyone making a pancake out of tea,that is a unique recipe and I like the tip about how how to keep pancakes warm. They’re really tasty and definitely worth a try! Thank you. I hope you enjoy them if you decide to give them a try! I love pancakes and these sound incredible! Will have to put them on my to try list. I would never have thought to include matcha tea though! I really hope you enjoy them if you decide to give it a try! Ooo they sound really interesting. We love pancakes in our house so will have to give these a try! Pancakes are a great way to give it a try! I absolutely adore matcha! It’s still such an unappreciated ingredient really. 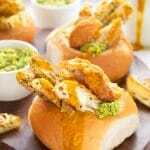 This recipe sounds delish, will have to try it out soon. Oh yes, you’re bound to love them in that case! It is really tasty! Thank you so much, I use a Canon 5D Mark III. 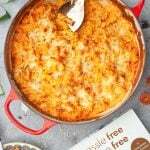 The flavours all work amazingly well together so I’d definitely still give it a try! 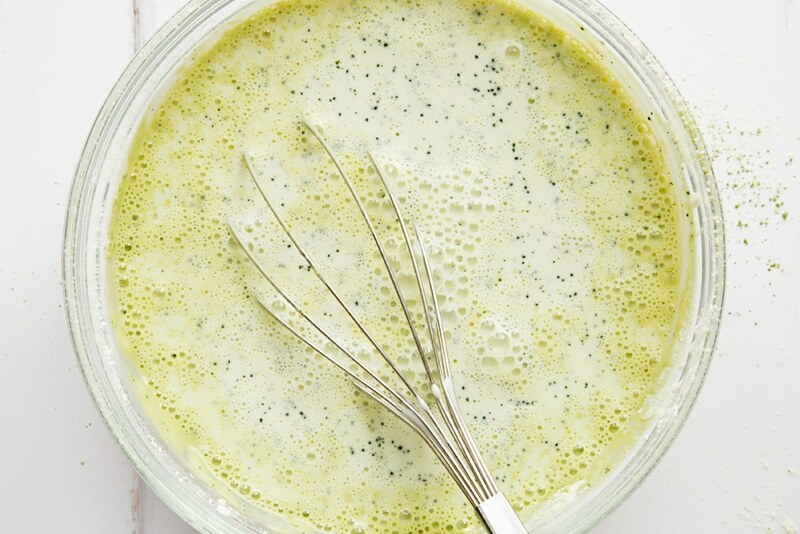 It’s the perfect way to add a healthy twist to your usual pancakes! These look delicious. Matcha tea is supposed to be good for you but I have yet to try it. What is the flavour like? 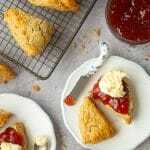 The flavour is similar to that of black tea but has a fresher taste to it. It’s definitely worth a try! This is a great place to start as they’re super simple to make! Emily, those pancakes look scrumptious! I’ve heard so much about Tea Pigs Matcha tea lately too; I really must give it a try. This reminds me of a time I put red food colouring into my custard instead of vanilla extract…. pink custard does not taste the same! Those pancakes look fab I want them NOW! The photos are superb. 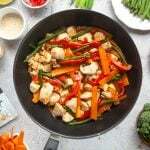 I’m trying to get my two to be a little more adventurous with their food and these recipes look fab because in their eyes, anything in a pancake can only be a good thing. These are such great ideas for pancakes, I’m going to raid the cupboards and see what sort of pancakes I could rustle up. Mmmmm I LOVE pancakes, especially with chocolate spread! I’m not sure if I could eat a green pancake but I do like the look of the cranberry and apple ones. 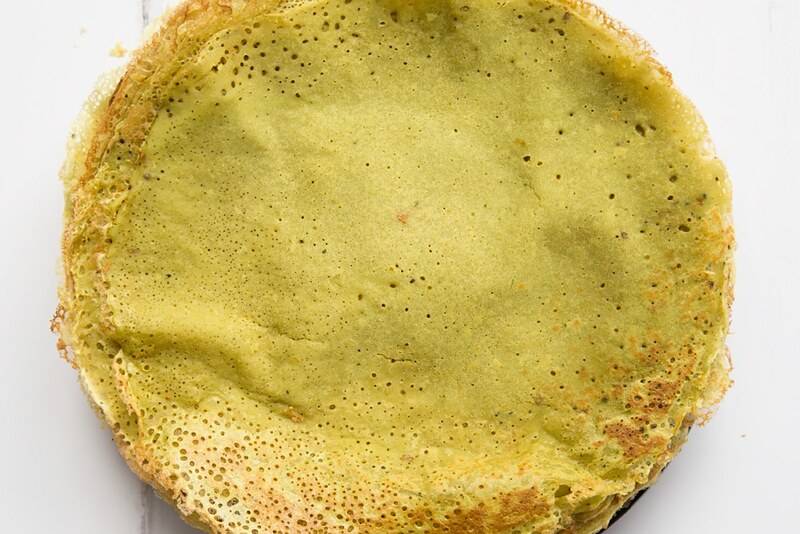 I would be very curious to try matcha pancakes, but it does cost and arm and a leg. sigh. Oh I love pancake day! 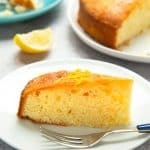 These recipes look really nice, I’m a big fan of lemon and a sprinkling of sugar but don’t want to give Little Mr raw sugar on his first ever pancake so the chocolate spread would be a great shout.